Apple was recently found not guilty of violating anti-trust laws in a controversial case over the iPod's early days and how Cupertinians used to treat music from sources, other than iTunes, back then. Nowadays, a trial involving Apple and some part of its vast business is usually a casual thing, however, what spurred media up about this case was the fact that Steve Jobs would be testifying - via a 2-hour pre-recorded video deposition that the ex-iCEO made back in 2011. Naturally, media outlets wanted access to the tape, and even filed a joint-motion, seeking permission to broadcast it, citing huge public interest and a lack of reason to keep it from the air. Both Apple and the plaintiffs were on the same page, however, asking the court to treat the deposition as regular testimony, rather as a judicial record. What this means is that the media is free to distribute any transcripts made during the case, however, the actual video will remain behind closed doors - just like if it was a traditional, on-the-spot deposition. The whole trial started with a complaint, back in 2005, when record companies took issue with the fact that Apple refuses to license its FairPlay technology to 3rd party music distributors. FairPlay is an encoding tech, built into QuickTime, which encrypts AAC files and prevents users from playing them on unauthorized computers. In 2009, Apple dropped FairPlay for iTunes-purchased files, but the lawsuit continued, accusing Cupertinians of violating federal antitrust laws. 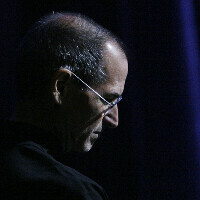 In 2011, Jobs was ordered to tape his deposition and his testimony has been played multiple times during the trial. Why you asking if we can't? Nah, if I want to watch someone lie, I'll go to a political campaign rally.